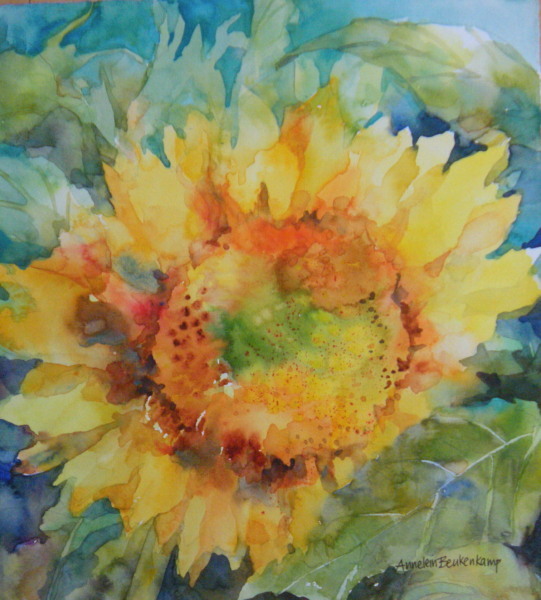 Visit here to see more of her work. ― John O'Donohue, excerpted from "A Blessing for One Who is Exhausted", from To Bless the Space Between Us: A Book of Blessings. In May of 2011 I sent out a letter to you announcing that I was closing up shop in order to focus on my full time work as a teacher. But, no matter how I tried, something prevented me from going through the necessary paper work. And so I put out a simple prayer, "What is my work?" And then I waited. For me, "prayer" is a call to listen more deeply to wisdom not found in the brain. What or who responds to prayer is not a riddle I try to solve. My work is to be patient and listen. Most messages appear unrelated to the prayer, but the trick is keep listening and allow the connections to form and ferry you towards the answer. "Live the life right in front of you" is what I heard first. Not some better life yet to come and not the new and improved version of my life I can continually, instantaneously generate in my head. I was asked daily to live squarely in each moment trusting whatever arose in me to meet it. "Pause" came next. Simple sounding, but wildly hard. We want to fill every space with what we know or with questions to know more. Truth has to wait for ego to get out of the way. When I pause I make life giving choices in alignment with my truth. If I don't, I make adequate, well-meaning choices that reflect how thoughtful I can be but have little to do with becoming a more potent force for good in the world. Within the pause is also the space to feel whatever it is I am feeling more deeply. What a thing it is to tilt one's head like a curious dog towards one's own depth of experience. Compassion grows. Hello envy. Hello joy. Hello fear. When we contract against the feelings that arise in a moment, we cut ourselves off from hearing what we need to hear. The more I paused, the more concretely my question, "What is my work?" was answered. Friendships grew with people who wished to collaborate. A Soul Flares supporter called me out of the blue and asked me what I needed to move forward. Opportunities to do my work— circle work and counseling—arrived unbidden. When I asked some young colleagues to be part of a women's circle they agreed enthusiastically even though they had never been part of one. When I went to an all day retreat I experienced a deep letting go of something painful I did not know I was holding—a testimony to the power of truth-telling in a sacred circle. offering one-day retreats several times a year and individual guidance for those who ask. putting together materials for people to use who wish to begin their own circles. offering trainings in how to lead a circle. updating a website where people can come to gain inspiration and to share their own stories. Over the last few months Soul Flares has begun to re-emerge. A new website has been launched to add content more easily and with a web hosting company that provides its services free to nonprofits. An all day retreat "Listening to the Stories our Bodies Hold" has been scheduled for March 30th 2013 here in Vermont. We have a new board member, Lorraine Carter-Lovejoy, who will bring her youthful energy and perspective to Soul Flares in an effort to reach more young people. Soul Flares exists in order to support your unfolding. Central to this goal is to support you in practical ways to create your own circles, whether it's a circle of two—you and a loved one—or a circle of colleagues, or circle of friends. It is a place to feel surrounded by kindred souls, to be witnessed, and to call forth the innate goodness within you that wants to be expressed in this lifetime. How can Soul Flares support you? What's your prayer? Join the conversation by going to our new website at www.soulflares.org and commenting on different essays and interviews. Visit here to learn more and to register. Please email me at annie(at)soulflares.org with any questions. Why donate to such a small nonprofit? Soul Flares is a 501(3)c nonprofit. It is a very small nonprofit—5,000 members in all. It is part of the wave of small organizations in our world that work to tilt the scales towards change. The people we reach our inspired and supported by what Soul Flares offers and spread that light in every part of their lives, causing a ripple effect. We don't often hear about the small good works being done, but they are as important as the big, well funded work. If you don't feel compelled to donate to Soul Flares today, consider donating to another small nonprofit that does move you. Just $20 will make a real difference to them or to us. Visit here if you have not yet read the essay by Dr. Clarissa Pinkola Estes that inspired the name and intent of our organization. New Essays: Debra Hori attended the 2011 Reconnecting with Your Wild Soul retreat in California. There she shared with us pieces of her journey following the death of her husband. Her story was so powerful to me that I asked if she would be willing to share it with the wider community of Soul Flares. 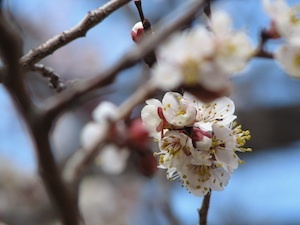 I have posted two of her essays on our website: Empty Bed, and Cherry Blossom Flurry. New Journal Entry: Recovered Memory: In this new entry from my blog I recount how a buried memory surfaced when it was ready. UpWorthy is social media with a mission: to make important stuff as viral as a video of some idiot surfing off his roof. Here's a piece by The New York Times' David Carr about our first 100 days. I love UpWorthy and share their posts often. Check it out and sign up for their weekly updates. 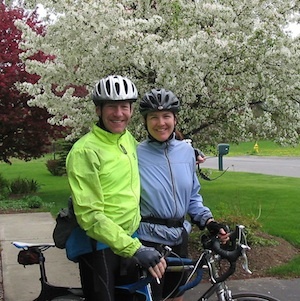 My husband and I will be cycling in Oregon and Washington State this summer from July 16 to August 6th. If you would like some visitors please contact me at annie(at)soulflares.org. I would love to meet you and we would appreciate the bed or tent space! I am especially interested in providing guidance to anyone thinking about starting their own sacred circle.